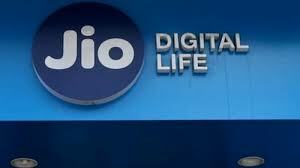 Reliance Jio has increased the Jio Celebration Pack for select users. Under the Jio Celebration Pack, the company is giving 2 GB additional data per day for 5 days to its specific customers. This means that the Jio user is being given an additional 10 GB of data for 5 days. Remember that the Jio Celebration Pack was launched in September this year. If you wish you can check in the MyJio app and check whether you are being given additional data or not. In addition to the existing plan daily for select users, 2 GB additional data vouchers are being credited. Go to the My Plan section of the My Geo app to check whether the Jio Celebration Pack is visible right below your existing plan. Here, along with the validity date of the pack, you will also see how long your data plan will be renewed. The validity date for the Jio Celebration Pack is being shown on 30th of November in our Jio Account. As we mentioned above, the Jio Celebration Pack was launched in September, this pack contains a maximum of 10 GB of data. On the second anniversary, Jio had lowered this pack. On Diwali, Jio Diwali Dhamaka was offered to the offer. Under this, the company was giving 100% cashback on recharge of Rs. 149 or more. Given the data consumption, some special Jio users are availing additional data under the Jio Celebration Pack.